After the hiccup of MM getting food poisoning, we finally made it to Portland on our scheduled day just a little behind schedule! Well, in the nature of a road trip and our luck, it started to snow pretty hard on our way into Portland. While the drive was beautiful, it wasn’t easy. It was about a three-hour drive but because I drove 25 mph the last big stretch of the trip, it took a little longer but it was worth not wrecking the rental car! Once we arrived at our destination, MM was still not feeling good and the roads were complete ice. So our first night in Portland was spent watching movies in bed. Can’t complain though because we were exhausted! 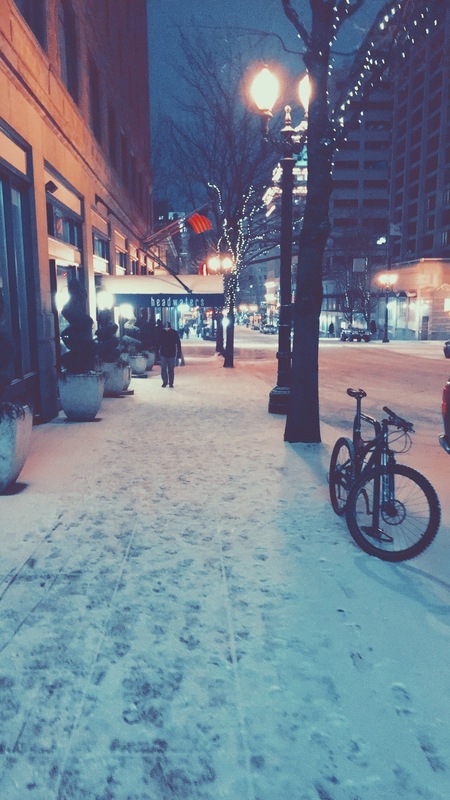 Plus the city covered in snow was picture perfect! We woke up yesterday, January 8th, and were supposed to make the 6-ish hour drive down to California to hike the Redwoods National Forest but due to inclement weather along the route we were taking, plus the roads still being completely frozen where we were and MM still recovering, we decided to stay another night at The Heathman Hotel. 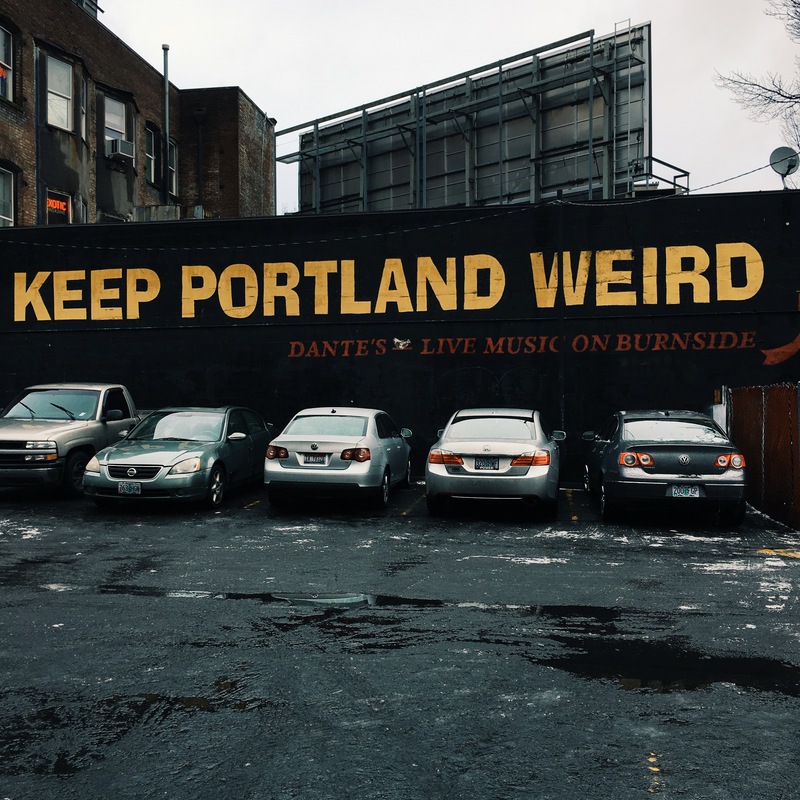 This gave us a chance to actually do some exploring in Portland. Unfortunately, our time was short and it was raining the whole time and a lot of places were closed so we didn’t get to do much of what we had planned. While all of this change of plans was happening it took everything in me to keep calm and ‘just go with the flow’ because I am such a planner and hate when a wrench gets thrown in the mix. I kept telling myself that there was a reason for this delay and change of plans, that God was protecting us or setting us up for something better. Well, that was true because today as I am sitting in the airport I got a notification that the bad storms that swept through Northern California caused one of the most iconic trees in the Redwood Forest to come falling down yesterday afternoon. Thankful for our change of plans because if we had made the trip down to the forest, we were set to arrive around the same time of the storm when the trees came falling down. It’s crazy how God watches out for you. It’s so sad that so many trees fell down during the storm, especially the tunnel tree that everyone has seen a picture of, but I’m glad that we’re safe and got to avoid this whole storm! 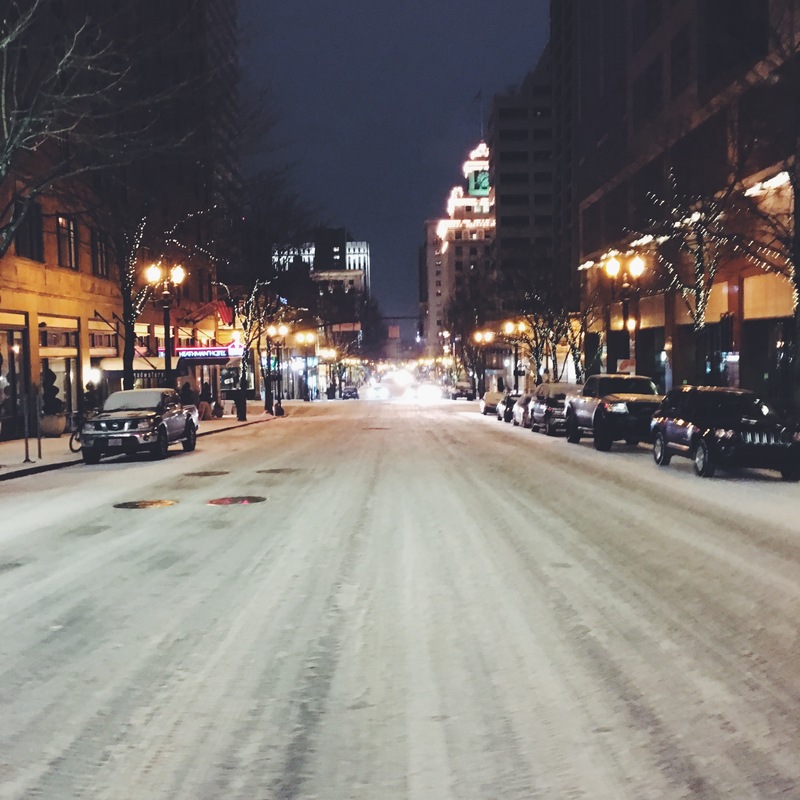 If you are planning a trip to Portland, stay at The Heathman Hotel. Don’t even bother looking anywhere else because this was probably one of the best hotels I’ve ever stayed at. While the rooms were nice and the lobby was amazing, it was the service that made it above the top. From the complimentary coffee, tea and cider in your rooms and in the lobby to the complimentary beer in the evenings to the help of the concierges with anything we needed – this hotel was so helpful to us during our stay. No matter the questions we had or the requests that we made, they were more than accommodating to us. While MM took a nap, I ventured out to finally get a meal. With most places being closed, my options were slim but I was definitely satisfied when I stumbled upon this cute pizza place where you make your own! If you’re ever in the Portland area, Pieology is worth a stop. 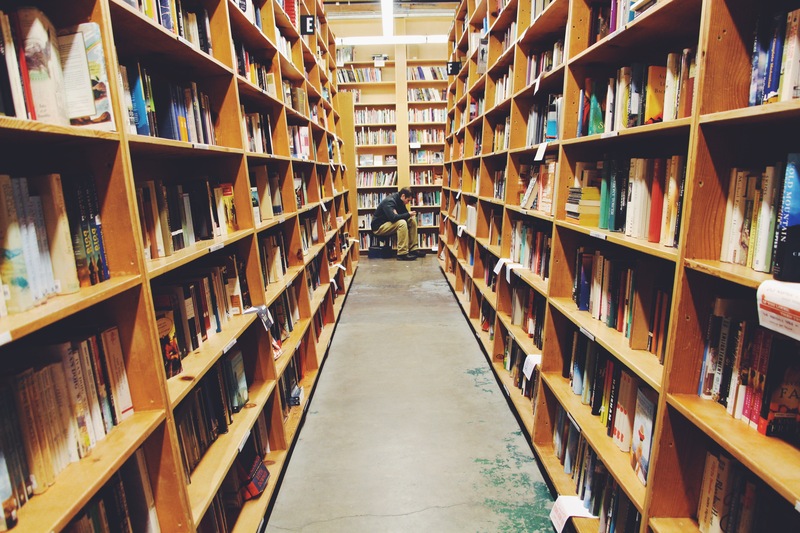 Yesterday I spent hours in Powell’s City of Books and it was one of the coolest places I have ever been. 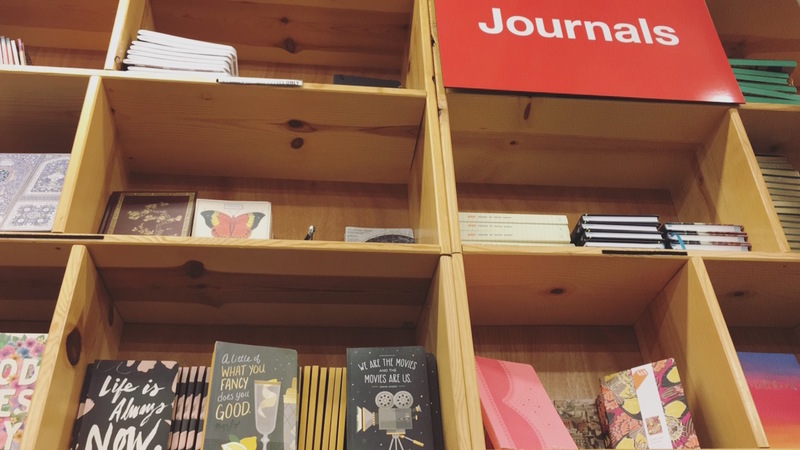 I’ve never been the girl to constantly read books, I’m more of a magazine and online articles type of girl, but this bookstore made me want to pick up every interesting book I saw and read it. With too many rooms of books to keep track of, I made my way around the store exploring each aisle and section. There’s no way to truly see everything that the store has to offer unless you spend an entire day there. After walking around for a while, I sat in their coffee shop and waited for MM to meet me since she was finally feeling better! 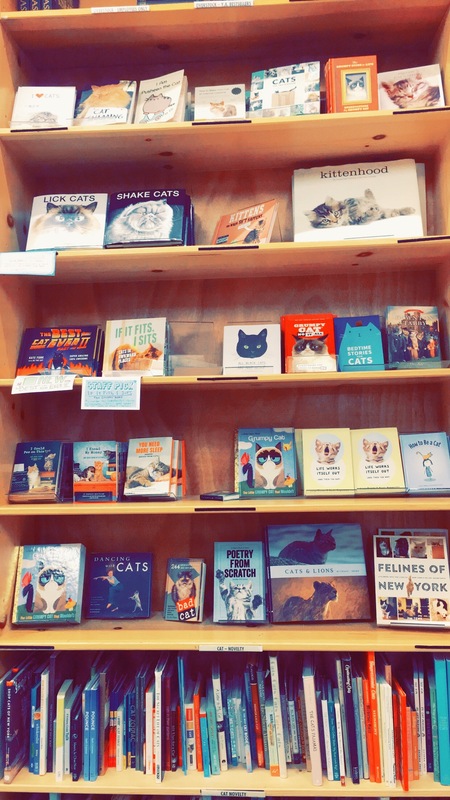 As you can see above, they have an entire section dedicated to cats and another one for journals, so I was in heaven, to say the least. Along with the books, they have the coolest and most interesting things to buy as well. Stopping here is a must in Portland, whether you want to buy a new book or not! 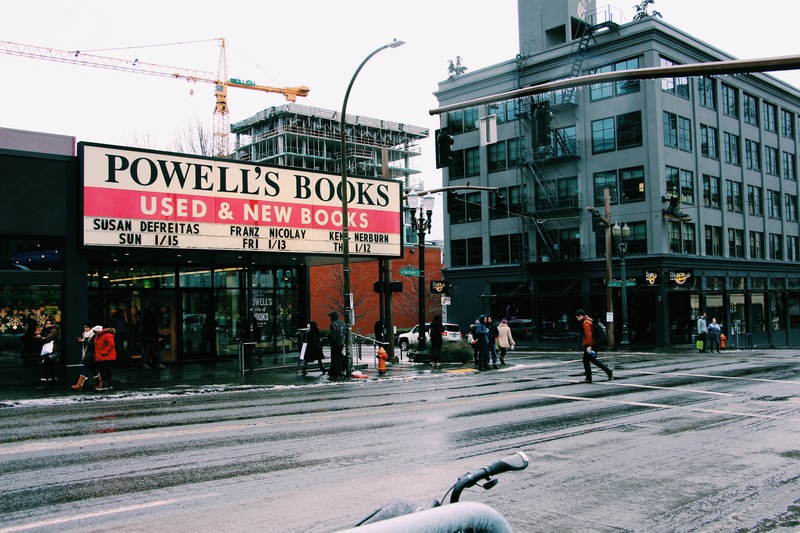 After spending hours browsing the aisles of Powell’s we went over to Buffalo Exchange to do some thrift shopping. One of the things that our friends told us before we left was that Portland has some of the best shopping, and they were right. Aside from the amazing department stores that are multiple stories high and the cute boutiques on every corner, the thrift store had some steals. 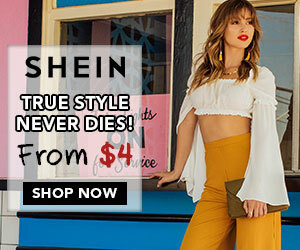 I found some incredible name brand clothing items and shoes that were in amazing condition for insane prices. MM found some awesome stuff too. We definitely made our mark in that thrift store. I think the weather closing some of the stores was a blessing in disguise because we probably would have ended up spending too much money in this city! After exhausting ourselves with shopping we went to a local Japanese restaurant for dinner. Shigezo was right down the street from our hotel so that was the main reason we chose it but once we got our food it proved promising! MM still wasn’t sure about trying to eat anything crazy so she played it safe with some rice but I was craving ramen, so ramen is what I got. I think one of the best parts about this place was the happy hour. The deal was for $15 that you got any beer on draft, one appetizer from a selected list and your choice of ramen. When I first saw the deal I was sure that the beer would have been some kind that I didn’t care for, the appetizers tiny and the ramen just a small cup but boy was I wrong! I got a cider that I have no clue what it’s name is but it was incredible, two mini salmon avocado rolls, and a large bowl of ramen. Needless to say, I was impressed. This is going to sound weird but the second best part of this restaurant was the bathrooms. Yes, I know, how weird of me to notice and actually write about it but the seats were heated and it was quite possibly one of the coolest things ever. After our long day, we made it back to the hotel to pack up our stuff and get ready to head out in the morning. Because of the weather and the unexpected delays that kept us in Portland for an extra day, we had decided that the best thing for us to do to keep us safe and still be able to make the rest of the trip as scheduled was to turn in our rental car and catch a flight from Portland to San Francisco. This meant missing one of our stops, the only one that required exerting any real physical energy and getting a little dirty, the Redwoods. We sat down and talked about it but because of the weather and us not being used to the conditions or familiar with the area, we decided it was best to catch a flight. Pros of this change in plans – skipping the longest portion of our drive by cutting out 10 to 12 hours of driving, not getting caught in bad weather and not risking our safety by traveling in bad weather. 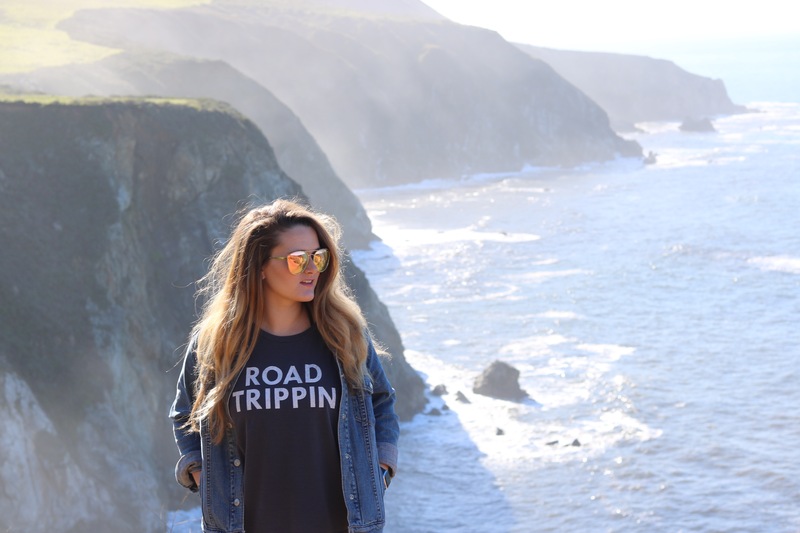 Cons – missing out on the amazing views and hikes that the Redwoods had to offer and the beautiful views of the Oregon coast and the drive through Northern California. 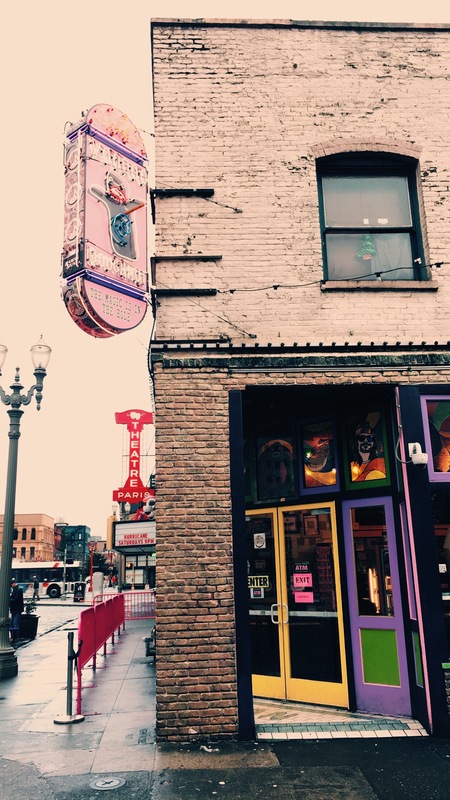 So we woke up this morning and went to the famous Voodoo Doughnuts for breakfast before heading to the airport. 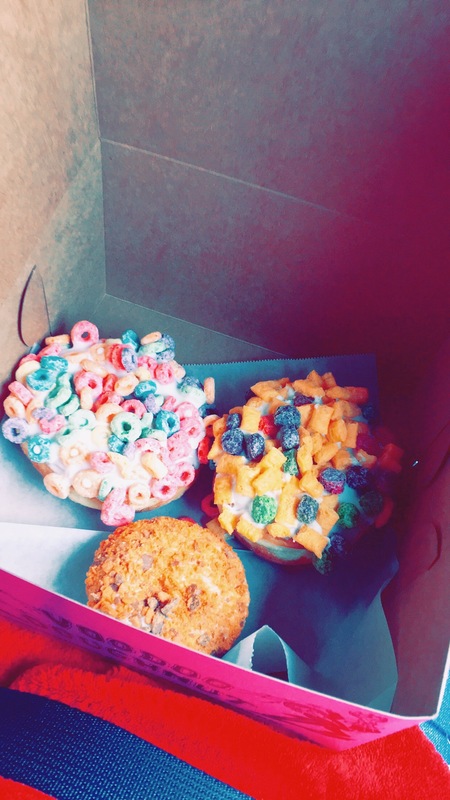 I absolutely love doughnuts and sweets so I was in heaven but man, these doughnuts were huge and sweet! These were seriously such a treat. If you’re ever in the Portland area, you have to stop here. I promise you won’t regret it. After figuring out the luggage and rental car situation, we have successfully arrived at the Portland airport as we await our flight to San Francisco. Once we land we will be driving out to Napa Valley for a day or so of wine tasting and visiting vineyards, there is definitely no complaints there. Or should I say whining?? Well, Pacific North West, you were fun! California, here we come!